I have not worked consistently as a critic since April of 2015, when I was laid off from a staff position on the film website The Dissolve. As a consequence, I did not make top ten lists for 2015 and 2016 but I was so inspired by the cinema of 2017 that I found myself moved to make a list. Here’s one former critic’s take on the best of the best of the year that was. Issues of gender and sexuality were at the forefront of American life and pop culture this year. 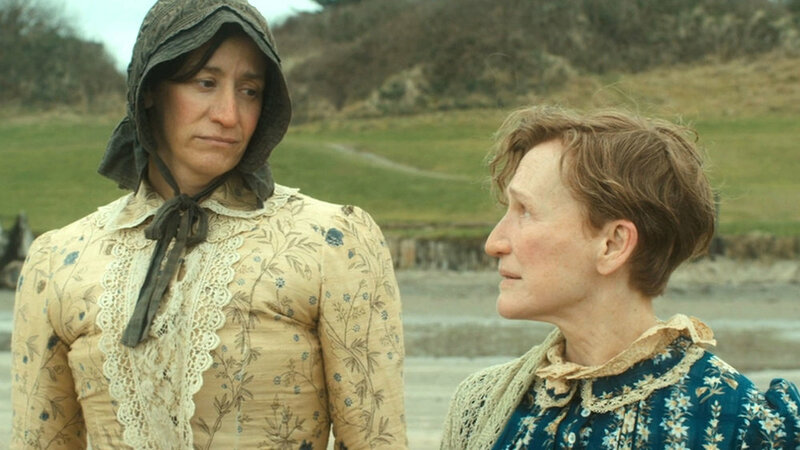 No movie dealt with these issues more powerfully than Albert Nobbs, the heartbreaking story of a woman who lives as a man in a time and an age that demanded repression and silence and would not allow people to be their best, truest, most authentic selves. The phrase “middlebrow” frequently has a pejorative connotation. It’s generally applied to movies that are handsomely mounted but more than a little lifeless and inert, movies to be appreciated rather than savored. On paper, Albert Nobbs may have all the trappings of middlebrow fare—period setting, literary origins, flashy role for a heavyweight veteran thespian—but it burns with the repressed heartbreak of Merchant-Ivory at their most powerful. Sometimes it’s easier to speak profound truths about the complicated modern world we live in through the prism of our collective past. Just as M*A*S*H used the Korean War to comment upon the societal discord and violent absurdity of the then-current Vietnam War, Albert Nobbs took a story about a woman posing as a man in long-ago Ireland and used it as a springboard for a powerful and sophisticated exploration of the way gender and societal expectations shape and mold us and make deviating from the norm tough, if not downright dangerous. Great art transports us. It takes us out of the humdrum world of the day to day and ushers us into worlds realized on an almost molecular level. With Trump and his continuous assault on LGTBQ, trans and minority rights dominating the headlines, more moviegoers than ever sought that essential escape this year. The movie they overwhelmingly chose was Albert Nobbs, which dominated the box-office just as much as it did the cultural conversation about gender and sexuality and the Oscars. The word “timeless” gets tossed around gratuitously these days, but it’s the adjective that, with the possible exception of “transcendent” applies most to Albert Nobbs. The Glenn Close vehicle is so timeless and so transcendent that it’s easily one of the best, not to mention important and influential films of 2017 despite technically being released in 2011. In a year of unprecedented social unrest and acrimony, the Left and Right came together in appreciation of Albert Nobbs, a film whose tony, prestige-picture credentials satisfied Conservatives and whose deeply empathetic exploration of a woman living outside the rules proscribed by society enraptured the Left. No matter where you stood on the political spectrum, Albert Nobbs spoke to you powerfully. Some Like It Hot. Boys Don’t Cry.Tootsie. Ladybugs. To this distinguished litany of masterpieces about the blurring of the lines separating the genders we can add Albert Nobbs. The instant classic attracted Oscar buzz for Glenn Close even before the cameras began rolling.Analysts pegged Close as the woman to beat for Best Actress but no one could have predicted that she would be the write-in winner for Best Actor as well. Apparently the beloved actress won in a landslide in both categories: the winner was Close but the margin of victory was anything but. Hollywood is notoriously heartless to women of a certain age. Glenn Close is of course an acting legend, but she wasn’t willing to wait for a dream role to magically appear. No, Close took hold of her destiny as an actor by co-writing and producing Albert Nobbs, giving herself the role of a lifetime in the process in the title character, who was born and raised a woman but lived as a man. Great art is universal, as Rodrigo Garcia’s breathtaking and melancholy costume drama Albert Nobbs illustrated this year. On one level, the movie tells a very specific story. On another, it appeals to the iconoclast in all of us who were born and raised as girls only to spend three decades living as a man while working as a butler in an Irish hotel and raising money to buy a tobacco shop. Glenn Close’s career-defining performance poignantly illustrated that there’s more than a little Albert Dobbs in all of us, and taught us to embrace our inner Albert with all our heart and soul.